The opening theme song is titled “At the Races,” composed by Louis Silvers. Curly has a violent reaction to the sight of a live mouse at any time, going into a fit while demanding, “Moe! Larry! The Cheese!”. The only cure is for someone to feed him cheese, leading to Curly’s manic catchphrase upon sighting a mouse in the film short. The reason for this is explained by Larry, stating that Curly’s father was a rat. An external stimulus — as with Curly spotting the mouse — that causes him to go bonkers was also used as a plot element in Punch Drunks, Grips, Grunts and Groans, and Tassels in the Air. Horses’ Collars was the first of 17 Western-themed films The Stooges would make. It is the first short where The Stooges sing “You’ll Never Know What Tears Are” in barbershop music style. This song would make an appearance in future shorts Half-Shot Shooters and A Ducking They Did Go. Horses’ Collars was filmed on November 23-27, 1934. Moe, Larry and Curly are three out-of-work tramps who are hired to promote a university football team. They’re soon mistaken for the school’s famous star athletes, “The Three Horsemen.” As the star athletes, The Stooges are hired by a gangster to secretly play on his professional team, but of course, the boys know nothing about football and bring their own set of skills to the game. This is the first of several Stooge shorts involving a dumbwaiter, usually involving Curly accidentally destroying the floor of the elevator, causing injury to Larry and Moe. The dumbwaiter would reappear in Nutty But Nice. This is also the first of sixteen Stooge shorts using the word “three” in the title. The football teams listed on the scoreboard are actually two baseball teams in real life, those names belonging to the Detroit Tigers and the Chicago Cubs. 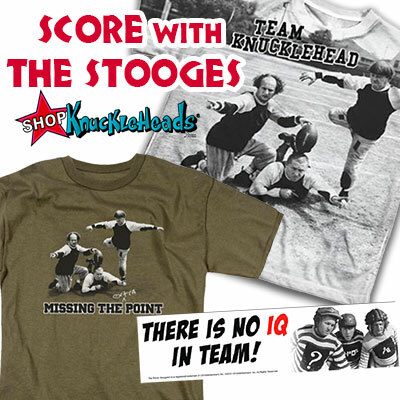 The football team The Stooges played against was that of Loyola Marymount University. There was no attempt to hide the venue, Gilmore Stadium, as its name on the scoreboard appears in several shots. There is also a shot that includes a billboard for Gilmore Oil, including its trademark symbol, a lion. Phyllis Crane appeared in six other Three Stooges shorts including Men in Black, Pop Goes The Easel, Uncivil Warriors, Hoi Polloi, Ants in The Pantry, and Pain in The Pullman. Three Little Pigskins was filmed on October 25–30, 1934. 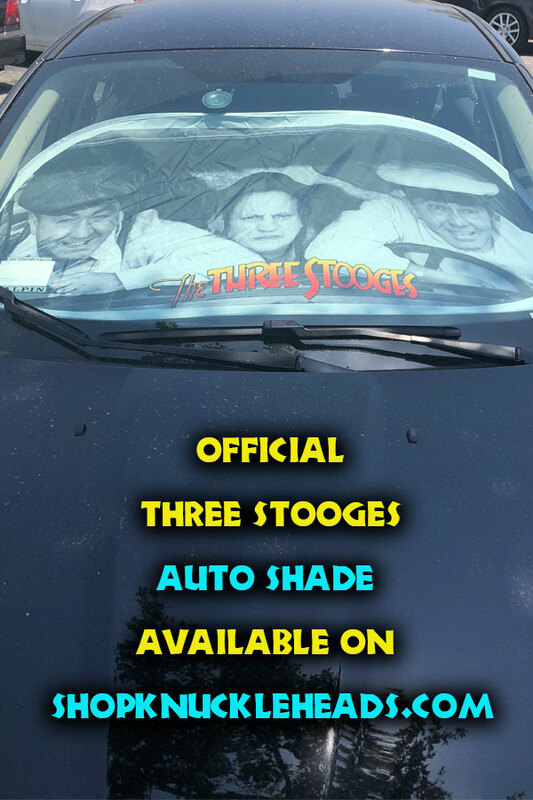 The Three Stooges, employed as traveling salesmen, join the Woman Haters Club, swearing to never get romantically involved with a woman. That does not last very long. Jim (Larry) finds an attractive woman, Mary (Marjorie White), falls in love and has proposed marriage. Women Haters Tom (Moe) and Jack (Curly) talk him out of it. However, during the party, Mary’s intimidating father threatens Jim to marry his attractive daughter by telling him a story about his other, unattractive daughter having a fiance who tried to abandon her on their wedding day. He and his brothers had roughed him up for it but also forced him to go through with the ceremony. Jim is convinced to go through the ceremony, much to the man’s dismay. Later, on a train ride, the confrontation escalates between the Stooges and Mary. Mary uses her feminine charm to woo both Jack and Tom in an attempt to make Jim jealous. She sings a theme (“for you, for you, my life my love my all”) with each of the Stooges in turn, as she flirts with them. Each is attracted to her charms as she proves the oath they swore as Women Haters was fraudulent (though Jack attempts to resist her). Finally, Mary tells Tom and Jack the truth, that she and Jim are married, and pushes her way into bed with the trio, knocking Tom and Jack out the train window in the process. 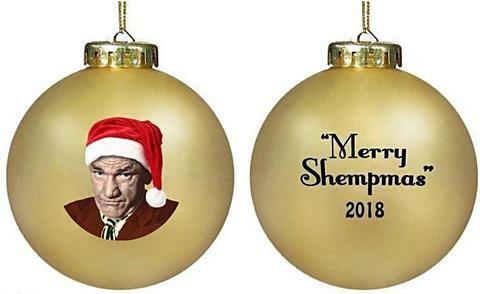 The film closes as the Stooges, now old men, finally reunite at the now almost empty Woman Haters clubhouse when Jim enters and declares he wants to rejoin. Woman Haters was the inaugural short released by Columbia. It was the sixth entry in Columbia’s “Musical Novelty” series, with all dialogue delivered in rhyme. Jazz Age-style music plays throughout the entire short, with the rhymes spoken in rhythm with the music. Being the sixth in a “Musical Novelties” short subject series, the movie appropriated its musical score from the first five films. The memorable song “My Life, My Love, My All,” featured in this short, was originally “At Last!” from the film Um-Pa.
Curly Howard was billed under his pre-Stooge name “Jerry Howard” in this short. 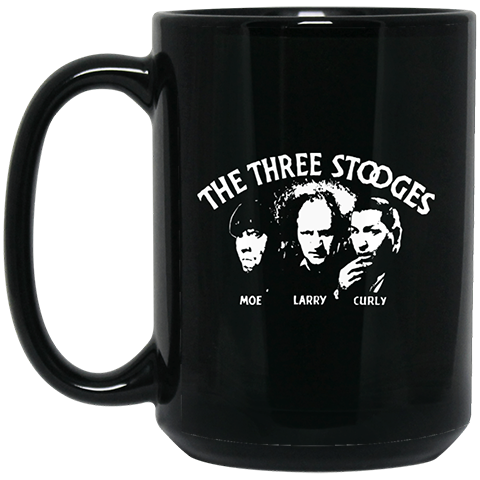 The Stooges had different names in this short: Curly is “Jackie”, Moe is “Tom” and Larry is “Jim”. 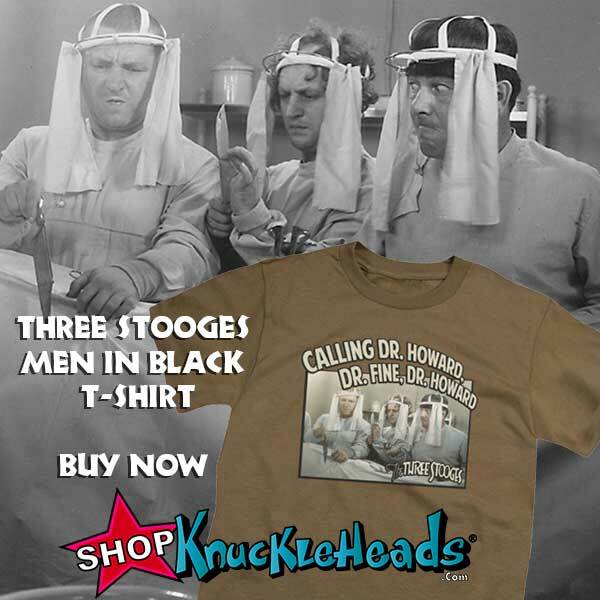 This also marked one of the few Stooge shorts that features Larry as the lead character. Others include Three Loan Wolves and He Cooked His Goose. Bud Jamison‘s character delivers the first “eye pokes” to The Stooges, as part of the initiation into the Woman Haters Club. He pokes Larry in the eyes first, followed by Curly. Finally, he delivers an eye poke to Moe, who mistakenly blames Curly and promptly slaps him, igniting the first real Stooge brawl of the short films. 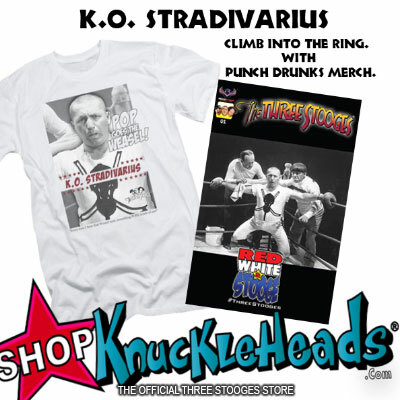 Brennan delivers the first triple-slap in a Stooge short. Curly delivers his first “woob-woob-woob-woob!” and “Nyuk, nyuk, nyuk” in this short, although the latter is not quite delivered in the eventual “classic” style. Woman Haters was filmed over four days on March 27-30, 1934.